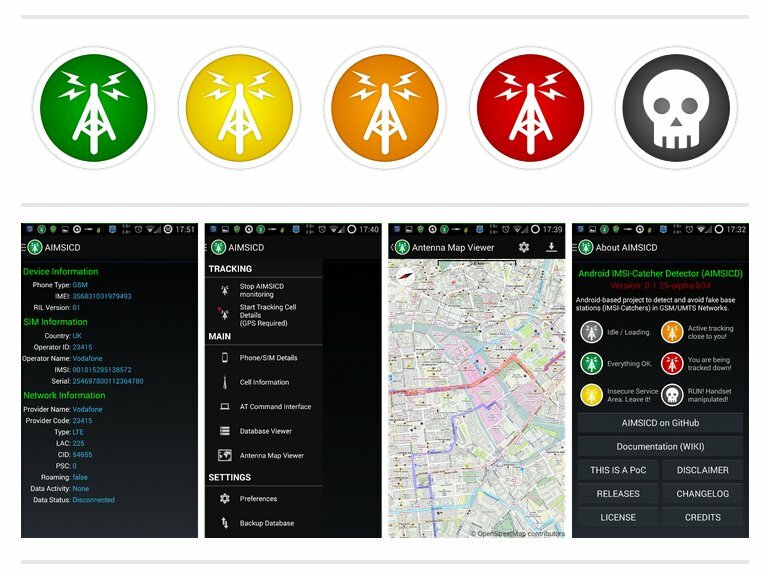 AIMSICD is an app to detect IMSI-Catchers. IMSI-Catchers are false mobile towers (base stations) acting between the target mobile phone(s) and the real towers of service providers. As such they are considered a Man-In-The-Middle (MITM) attack. In the USA the IMSI-Catcher technology is known under the name “StingRay“. Feel free to join the discussion and help. See development status. The FBI or local police regularly deploys IMSI-Catchers hidden in vehicles at protests to obtain a record of everyone who attended with a cell phone (leave your phones at home by all means if you really have to attend). IMSI-Catchers also allow adversaries to intercept your conversations, text messages, and data. Police can use them to determine your location, or to find out who is in a given geographic area at what time. Identity thieves can use freely available tools to monitor and manipulate communications from a parked car in your residential neighborhood, stealing passwords or credit card data from people nearby who make purchases on their phones. The reason IMSI-Catchers are so commonly used is that it is very easy to get away with using them traceless. This app aims to make it possible to detect the IMSI-Catchers, so that using them becomes a risky proposition. It also aims to make users safer, by alerting on possible interception and tracking. The efficiency of this app has not yet been verified against real IMSI-Catchers.